It’s been a long wait for the new Exige, with multiple delays owing to the DRB-Hicom takeover of Proton, the removal of CEO Dany Bahar, and reported durability issues pushing out delivery dates. 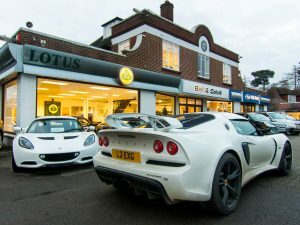 While customers still won’t be receiving their cars until early next year, the first batch of dealer demo cars began to arrive last week – with Bell & Colvill beating the other UK dealers to the punch by a week when Lotus Sales Manager, Jamie Matthews, opted to travel up to the factory bring the car straight down as it rolled off the line, rather than waiting for it to be delivered. With the car receiving critical acclaim – including taking joint top honours in Evo Car of the Year 2012 – it’s fair to say that anticipation for this car has been massive, so when an email came through from Jamie asking if I’d like to borrow the car for an afternoon all other plans were immediately cancelled, and 24 hours later I was pulling on to the forecourt to be greeted with a sight we’ve all been waiting a long time to see – a full production spec Exige S, fuelled up and ready to go. This car has been fairly highly speced, as you’d expect for a dealer demonstrator, with Aspen White paint, Premium Sport Suedetex interior, Race Pack, Air-conditioning and Rear parking sensors. The opinion dividing Diamond Cut wheels haven’t been fitted, nor the track biassed Trofeo tyres – a definite plus given the damp and greasy conditions on the road at the moment! It’s not the first time I’ve seen the new Exige S, or even the first time I’ve driven it having gone to Silverstone for one of the demo days, but there’s a big difference between a short drive with someone sat alongside you telling you where to go and getting chucked the keys and being told just to make sure you bring it back in one piece. Kudos to Jamie as I don’t think I’d have his level of trust if I had hold of the only one in the country! 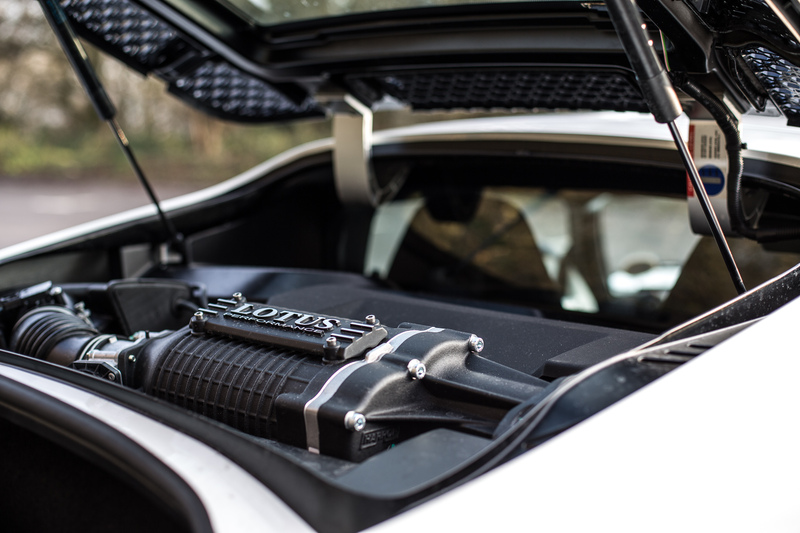 First job was packing in all my camera kit that I’d brought along (large rucksack, a couple tripods and then my jacket and some other bits and piece) which fitted with ease – it’s a fraction wider than the Elise I’d wager – and then closing things up. 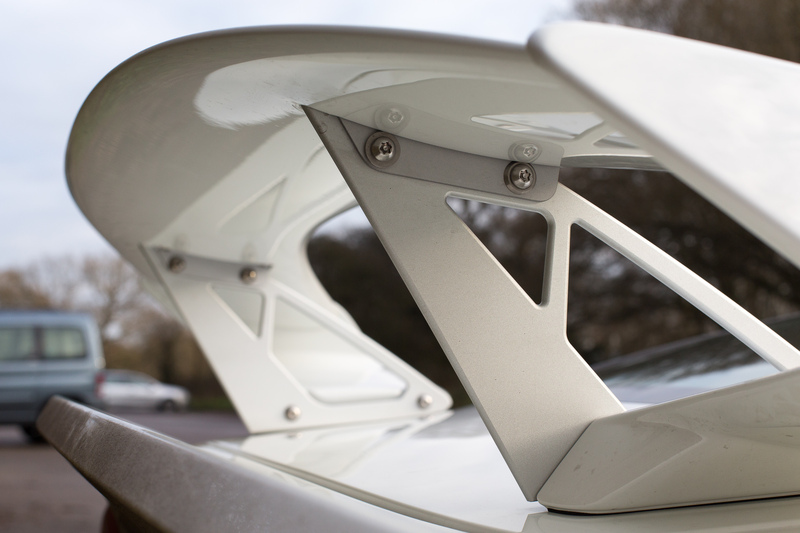 You have to press down on the boot-lid to latch it, not the spoiler as it’ll flex, which is involves some minor contortions and isn’t the most natural way to do it, but at least it isn’t fixed to on the rear deck like the MY10 Exige spoiler which gets in the way while you’re trying to move items in or out of the boot. Once inside it’s all very similar to an S2 Exige. There are a few minor interior changes in terms of trimming, but it’s what’s happening behind you that grabs your attention – you have a rear view, the rear arches look BIG in those mirrors – the wider plinths may look a bit funny, but they are there for a reason – and the flair of revs as you fire it up. The exhaust is carried over from the MY12 Evora S, but the noise permeates through the Exige far more. There’s a little button on the steering wheel cowl to let you toggle the exhaust flap open or closed regardless of what mode you have the car in for if you want to be discrete(ish) and could be useful for track days, although it will open at high engine loads even in Touring mode. Out on the road and a quick drive up to Newlands Corner to get some photos in bag before the light faded was enough to remind me of what I learnt last time out. It rides nicely, a little stiffer than the Elise S I drove a few months back, but with no real harshness even over the bigger bumps. A short trip a junction along the A3 and back confirms that the car is also relaxed a cruiser, the valved exhaust and long 6th gear keeping the engine noise to a minimum and there is no noticeable increase in road noise despite the wider tyres. Heading up the hill and even in Touring mode it gives you a good firm shove along the road – the throttle pedal mapping makes it less sensitive at small opening, but given just how annoyed people would be if I damage the car I figure the extra safety net was probably wise for the first few miles while I got to know the car, and foot to the floor it still gives you the full 345bhp. Shots taken, back on the road and switching over to Sport mode and it has to be said, it’s REALLY hard to find enough space to push this thing. Every time you open it up you can just tear up the road at a rate that’s completely beyond what I’m comfortable doing. 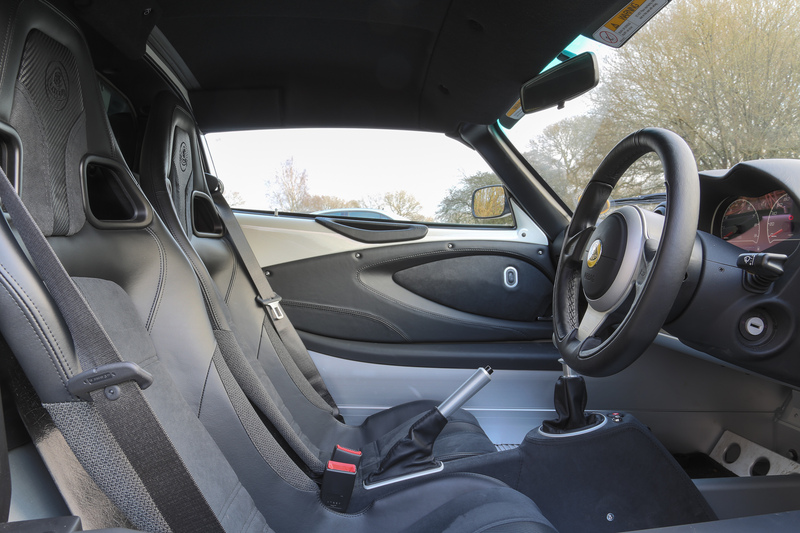 There’s not a heady top-end rush, just a constant surge of torque that lets you pick apart a road at whatever rate you choose – there may be faster accelerating cars but the Exige manages to blend together the traditional Elise levels of feedback with more power than any previous factory effort, while giving you a very useful safety net. It disguises it’s extra weight well and the electronics make the performance so easy to access that for an average drivers like myself, while an engine converted car may boast greater power to weight ratios, I’d expect to be able to drive the Exige S faster, sooner – I threw the car down a damp, bumpy and narrow road as fast as I dared and the worst I got was a few flickers on the tell-tale light on the dash over some of the bumps and the SLIGHTEST twitch as a rear wheel spun up on some mud, but nothing more. It really is astonishing how you can just devour a road in this car, even in less than perfect conditions. Despite this user friendliness you still feel involved and as if you’re doing the hard work, just rather than getting bitten by over-exuberance you have something there to rein you in and let you know you pushed that little too far without completely spoiling the fun. 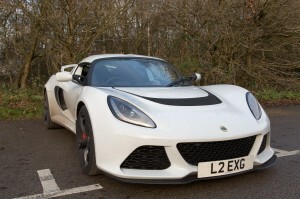 Ultimately not only is the Exige S possibly the best car Lotus have ever built, it’s one of the most important as well. 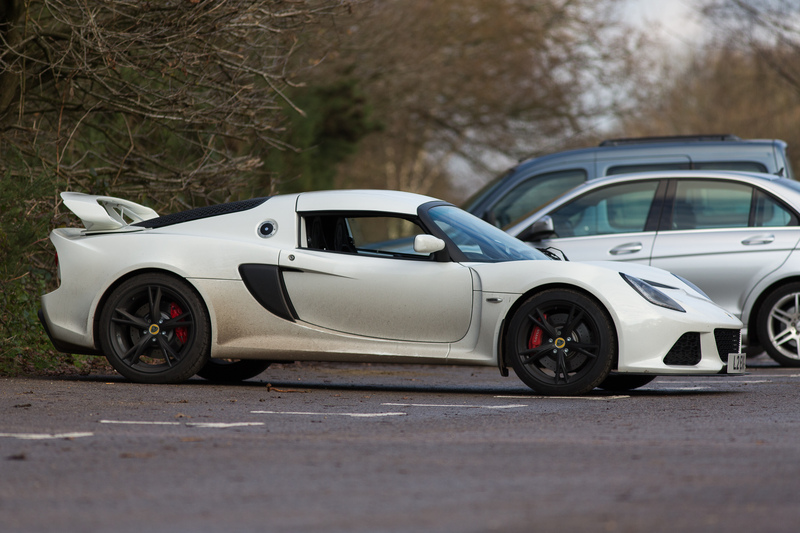 It’s the first Lotus in a long time that really moves the Elise platform forward. I never quite ‘got’ the S2 Exiges as, Cup cars aside, it always seemed you were just a few option packs from an Elise, while as good as the Elise S is it’s very similar in character and performance to it’s predecessors while it’s competitors have stepped up in terms of power and performance. 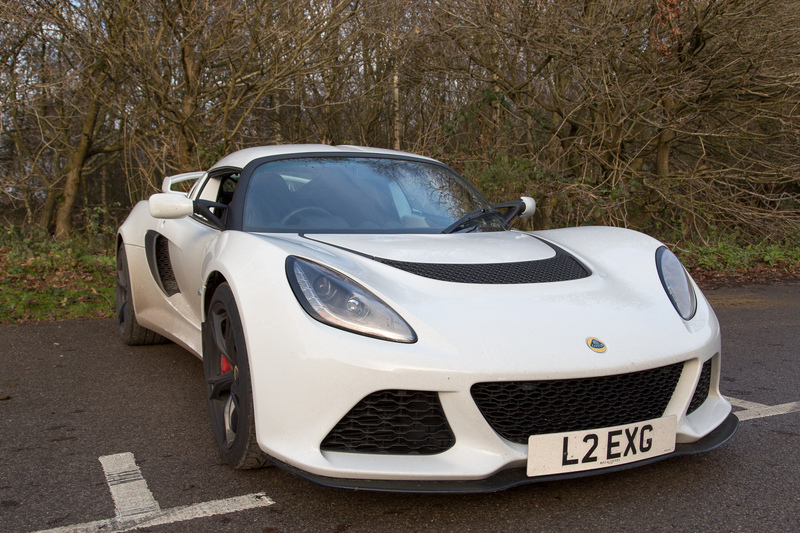 That’s something you could never level at the V6, it’s on another plane and it finally gives Lotus a car which impresses on paper, not just when you’re sat behind the wheel. 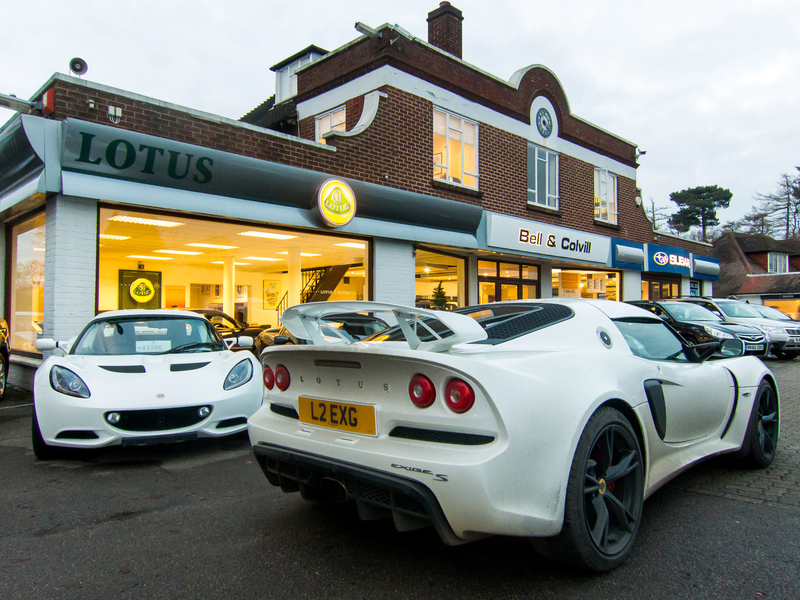 It’s safe to say that 2012 has been a tough year for Lotus, but here’s hoping that customer deliveries will begin within the next month and that the demonstrators will convince yet more people to get their names down in the order book for 2013, and from what I’ve heard so far that seems to be the case. Many thanks to Jamie at Bell and Colvill for the use of this car.